Well we had a surprize this weekend. All the chemo finally caught up to me and my hair began to fall out. Since it was a goner anyway we all decided to have some fun and use my head as an Etch-A-Sketch. One thing we overlooked was the fact that plucking the hair follicles left the scalp totally bald. Once I shaved the rest of the hair off the HOPE was still visable. 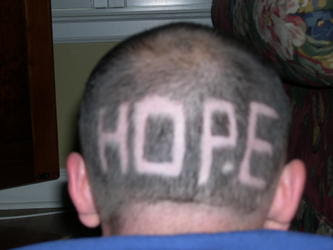 I now have HOPE written on me until my hair starts growing again...who woulda thunk it huh! Saturday was a re-union of sorts. Chandler returned from the youth ministries Urban Plunge and Chase returned from his Texas vacation junket with our neighbors. They both had a wonderful time but it sure was great to have the whole family back in the house. We have gotten back into "normal" mode for now and it sure is great. Thank you again to everyone that has been praying for us. Your prayers and the assistance that everyone has given to our family have been tremendous. We love you ! Hello eveyone, Friday's update is not that different from Thursdays. My counts are are still so low that I have to be in solitary for few more days. I feel that Saturday shall be the day! Funny thing about communication. Some things that seem so straightforward to some, need extra eplainantion to others. So here it is, when I was told that there we re no platlets I asked for some turnips. In Mississippi we have trid to squeeze blood from them on more than one occasion. Didn't work this time either. To anyone reading these words, may God richly bless you this day ! 1:00 Hi everybody. Well, we lost our bet. Frank's levels did lower again today. They are getting ready to give him some platelets. Please pray he doesn't have a reaction the the blood. He never has before, but it can happen. And continue to pray he doesn't get a fever or have any complications. The kids are in Hot Springs on the lake with Jennifer's family today. I know they are having a great time and I'm thankful they are getting to do something fun. They'll come back tonight so they can be with Frank. 3:36 oops.... the hospital is out of platelets. They said to be careful and come back tomorrow..... frank wants to know if anybody has any turnips.... get it??? I'm here at the clinic. Frank's asleep in the treatment room. He's been tired today. They think he's a little dehydrated so they're giving him some fluids. He's definately neutopenic as of yesterday with his white count 0.6 with platelets 47. They won't transfuse him unless they get less than 20. Wouldn't it be great if he didn't need one?! Let's all pray for that. Everything else looks good. We don't have lab work back for today. We're going to leave here and go straight back the apt. No Big Mac's today. I want him away from everybody. He wanted to say hi yesterday and when we went in to edit last nights message, the computer messed up and we lost it. So, I bet he'll get on tonight and say hi to everybody. We got the lab work back for today. His white count is 0.1 and his platelets are 32. They want him to take some potassium tablets, but other than that, he's doing good. These could drop again, but we're praying that this was the bottom and he's on his way up. How hot can it get, really? It is so hot here. I know it's hot at home too. Frank and I went into the clinic today. They gave him his shots, antibiotic and drew his labs. We didn't wait to see what his blood work looked like, so we won't know until tomorrow. They said yesterday to expect his white count to be at it lowest. So he's wearing his mask now. His platelets dropped from 80's to 50's in one day. He's eating better. He was craving a Big Mac for lunch and he ate the whole thing. That was probably the most calories he's had in one sitting since he's been here. I was glad to see him enjoy it. Eating should be that fun shouldn't it? After lunch, we got his hair cut. (my favorite hairdresser is here) Heather buzzed him down pretty close...he's getting ready to shave it any day now. He looks good bald, but I have to admit I liked his wavy hair. Maybe it will come back in even more curly! We'll have to wait and see. We're laying low tonight. We're watching Walk the Line, and I'm working on the computer. I'm ready to see the kids. Both our moms are with kids this week. My mom has ours. They are keeping her busy with their ever growing social schudules. Bible studies, swimming, soccer, dentists, birthday party. I feel guilty that I'm not doing much of anything and she's so busy. But I am so thankful. Frank's mom has Neely's 3 while they are in San Fransico. Thank you for signing the guest book. We both enjoy reading your encouraging words. They really do mean so much. There is something so uplifting knowing you are cared about and thought of. It means the world to him to read those throughout the day. Thank you for taking the time. We are so grateful and thankful for so many things. God has given us so many blessings, even in the midst of the trials. We are blessed. We are blessd. We are blessd. Frank's been here a week now. He got hooked up to the continuous bag last Monday. After getting "unplugged" Saturday morning, he decided he wanted to sleep in his own bed even if it was for only one night. So, we all packed up and headed home. And it was a great day for him. He messed with stuff in the garage, drove the truck to the store to get Zach some lawn mower gas... just stuff. He was awake more hours that day than he had been all week. He watched me drive home like I was in Driver's Ed school. (that was fun for me ) He took a long hot shower and, the best part, slept in his own bed! I loved it that we went to church together. We ran late just like normal. Chandler had to do "one more thing to her hair" and Chase spilt orange juice all over himself in the car! It felt so normal that Frank and I didn't even care. We forgot about everything for a few hours. But, we headed back Sunday afternoon for his appointment at the hospital. Mom is at home with the kids today. Now, we're waiting to see Dr. Barlogie. His levels are dropping as they should. He should be neutropenic by tomorrow. Platlets are in the 80's and dropping. They are watching him closely and taking good care of him. 5 Find rest, O my soul, in God alone; my hope comes from him. This is Frank, yes the special person of the week! So far treatment has gone pretty much as expexted. Tiring and annoying. I'm resting most of the time. Peggy and the kids are here now. Chandler and Zach were able to be with me at the clinic this afternoon. Another good part has been all the love, prayers and well wishes from all our friends and family. I am so thankful for all that everyone has done. It makes being away much more bearable. Speaking of something special, we had a treat today. Chandler was due home today from the church trip. The buses were coming through and made an unskeduled stop in Little Rock to let Chandler off. She has been gone all week and all this caught her off guard. It feels nice that we are all back together for a few days. I'll get unhooked from everything tomorrow. My counts will drop in a few days. Please pray that I'll stay free from any complications. That is it for now, more later. Frank is doing great. He's almost done with the chemo. He'll get unhooked from all but one infuser tomorrow. Not having to carry that pump around is a good feeling. The doctor said all his counts are looking like they are suppose to at this point. His blood counts will start dropping by the weekend. I miss him terribly. I'm hoping to get the kids and be there by Friday. Chandler is returning home from her church trip to Padre Island on Friday, and then we'll leave for Little Rock. The five of us together is a wonderful feeling and I'm looking forward to it. Okay, I've started over so many times.... I've tried to begin this journal from every angle. There is just no way around this!! If you're reading it, that means you know Frank is in treatment again. There! I said it. Now.... the rest of this should be easier.... for me to write, I mean. The last entry was October 2004. Since that time Frank enjoyed another year of remission from the Myeloma. And we enjoyed it right along with him!! We had a normal routine again in every respect and it was such a gift from God. We've been busy, just like you, doing things like: school work, landscaping, soccer games, baseball games, track meets, guitar, piano and drum recitals, band concerts, lots of carpooling, teaching sunday school, hanging out with friends and family and going to bed late and getting up early! 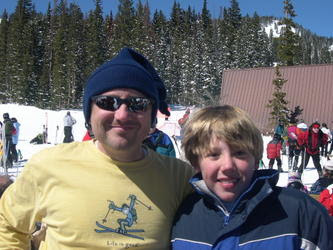 In Oct 2005, we discovered Frank had relapsed. It was unexpected, but like we'd done before, we put those boxing gloves back on and got right back in the ring. Actually, Frank put on the gloves. I stood in the corner and cheered him on, along with his fans. With God's help, the fight was won in the early rounds. 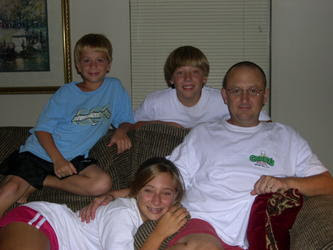 Frank's treatments had him back into remission before Christmas. HO HO HO We are so thankful. He has continued to be in treatment since that time. But that doesn't stop Frank from having a great time! Without too much detail...... we'll get caught up. 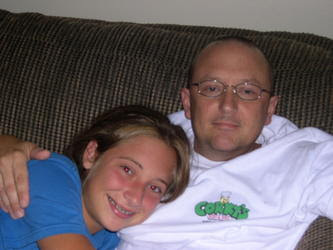 The doctor in Little Rock has recommend Frank have another stem cell transplant. Frank has the greatest chance of maintaining this remission with this treatment plan. With much prayer, and lots of confidence, we are moving forward. We are excited to see what God can do, and how He can do it. Oh, the wisdom He allows man to have! Frank is in Little Rock. He should be there about 2-3 weeks. When the doctors feel he is ready, he'll return this fall for his transplant. He'll be able to use his stem cells that have been frozen since April 2003. We've had many people ask us about the web site. I've been wanting to get it up and running again, but had to learn a few things first. 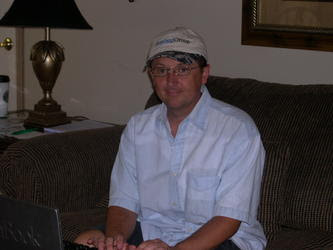 The Blog entries are new and much easier for me to work with. I'll update often as long as he's in treatment, and especially while he's away from home. The Guest Book should be the same as it was before. 1. That God would protect Frank's body from infection, or any complication due to the chemo. 2. That his blood counts would rise quickly without the need for transfusions. 3. For our family that stand in the gap while we are apart - for their strength and many blessings on their sacrifice of love for us. 4. For the kids: Chandler, Zach and Chase to face these challenges with grace and honesty as they try to deal with their daddy being sick. Having the support of family and friends is so special us. They can give Frank chemo, but your prayer, love and support is true medicine for our soul. And the WHOLE family is encouraged.